BUICK INTELLILINK. 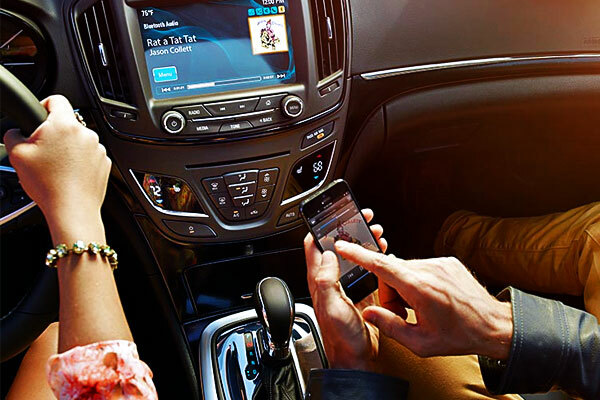 It is important to verify the connectivity of the car that we intend to buy, with our mobile devices. Photo Credit: Buick Official site. Nowadays, vehicles come full of new features that didn't exist when you or most of people bought their last new car. Here are five of these features you could easily ignore when buying a new car, which could probably give you a nasty surprise later when already be a standard on all vehicles in the market..
Today, most cars come with built-in wireless Bluetooth for phones, but not all systems work with all the smartphones available in the market. So, as part of your tasks before making the purchase, be sure to link your phone to the vehicle and test all functions. Many modern cars come with big screens on the board through which you can control the audio system, climate, navigation and communication. But some systems are very complicated and very distracting to use while driving. 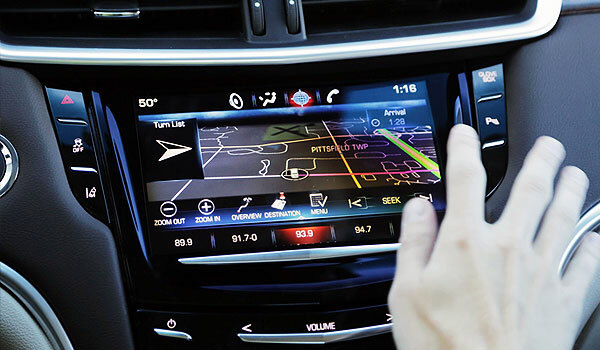 In addition, information and entertainment systems such as the CadillacCUE and MyLincoln Touch use touch-sensitive buttons that make it harder to work accurately, especially when the car is motion. CADILLAC CUE. The CUE infotainment system comes standard in the Cadillac XTS and SRX models. Photo Credit: MotorTrend. During the driving test you are going to do when you are looking your new car, try to perform some basic functions like increasing or decreasing the volume of the radio or tune into your favorite station, and do it especially using the steering wheel controls, which would be the ideal. Also test other functions such adjusting the temperature and air flow direction, opening and closing the sunroof, answering incoming calls using the Bluetooth function, and turning on the heated seats to see how easy it is or how much it distracts you while driving. 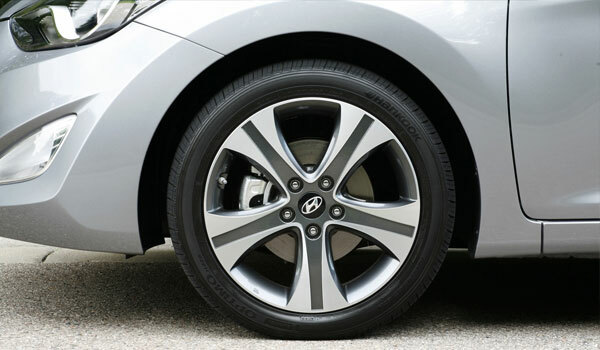 HYUNDAI ELANTRA TIRES. Besides of looking cooler, low-profile tires deliver better cornering and road feel. If you're buying a new car for comfort, ask the dealership to install regular tires or smaller wheels. Big tires may look cool, but if we talk in terms of high performance, low profile tires that come with some cars can be very expensive and impractical. Many traditional sedans come with performance tires that are more expensive to replace. Even some SUVs come with summer tires that are not suitable for snow conditions. Therefore, before buying a new car, make sure that tires are aligned with your needs and that you know how much it will cost you to change them. Should you put low-profile tires on your new car? PopularMechanics can help you to find it out. SPARE TIRE OR REPAIR KIT?. Although most dealerships are currently offering emergency assistant service while the warranty of the car lasts, in case you blow up a tire, some people feel better and safer knowing they carry the spare tire in the trunk. 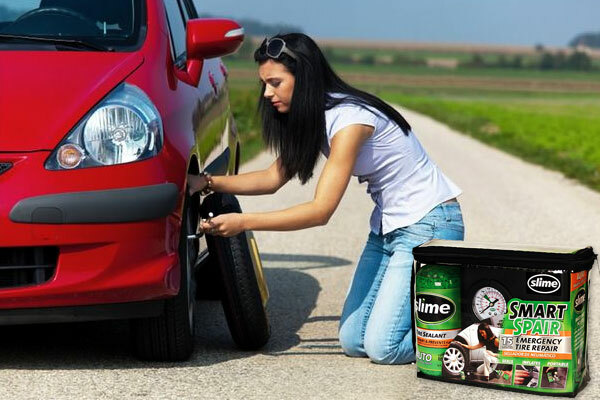 Many cars come with no spare tire, all that you will get is a sealant and probably, an a portable air compressor. But if you blow out a tire by hitting the sidewalk, you'll need to call the towing truck to take your car to the nearest auto service shop. Check if the car has a spare tire or at least, a sealant kit, and if it has it, make sure you know how to use it or tell to your sales representative if he/she can teach you how to do it, or if someone from the service department is available to explain you. SAFETY FIRST.if you have kids that still have to use a car seat, do not buy a car if their seats don't fit or are too difficult to install them in the car you are planning to buy, of course, you can also opt for buying new car seats. - Photo Credit: Autoblog. Even with improved latch anchors included in the newest cars that make easier to install the seat of your child, experts in child safety seats from the IIHS claim that they still have troubles to set up some of them in a safe manner. So, if you have a kid, bring along your car seat when you perform the test drive to the vehicle you're interested in, and ensure it fits properly and you can put it easily.